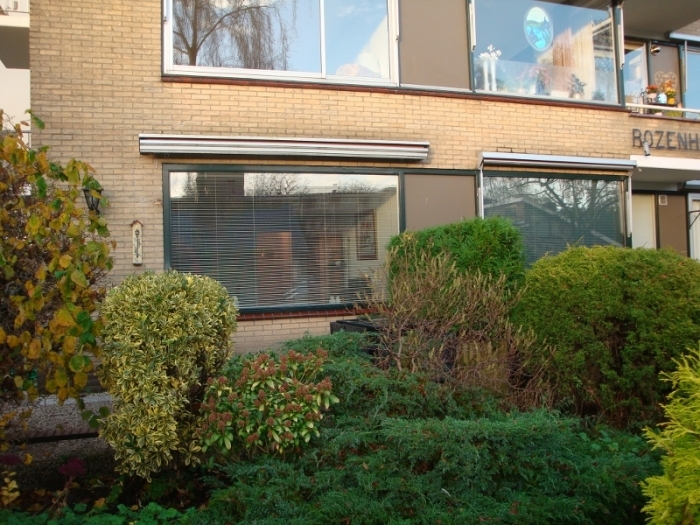 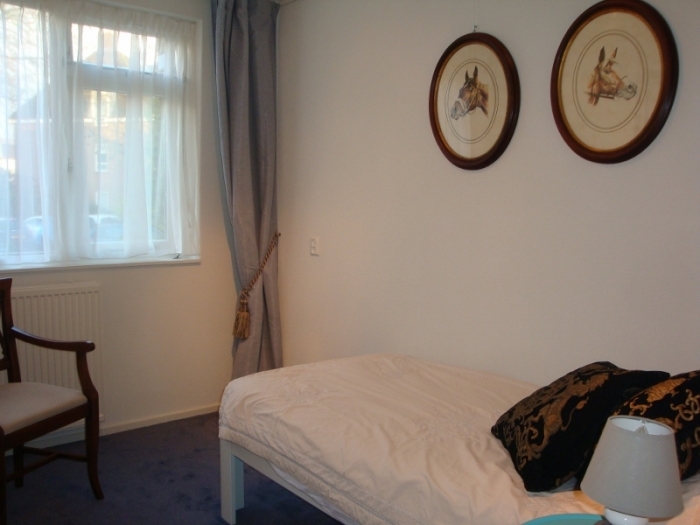 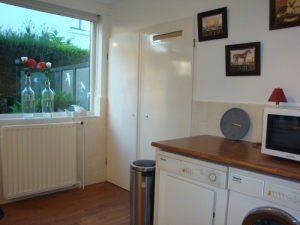 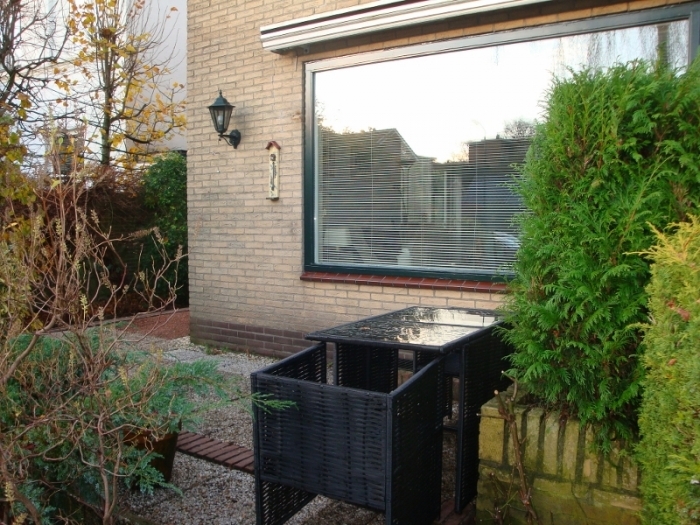 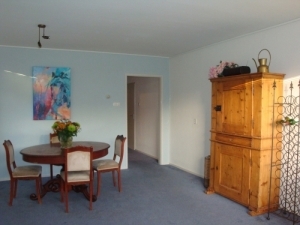 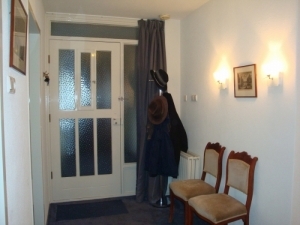 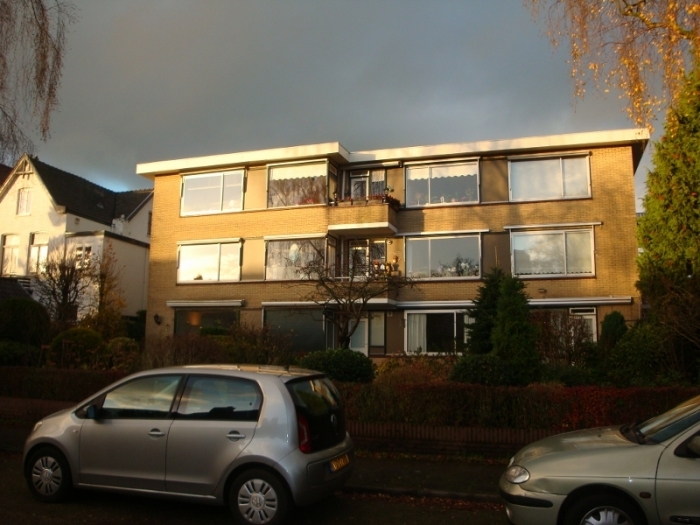 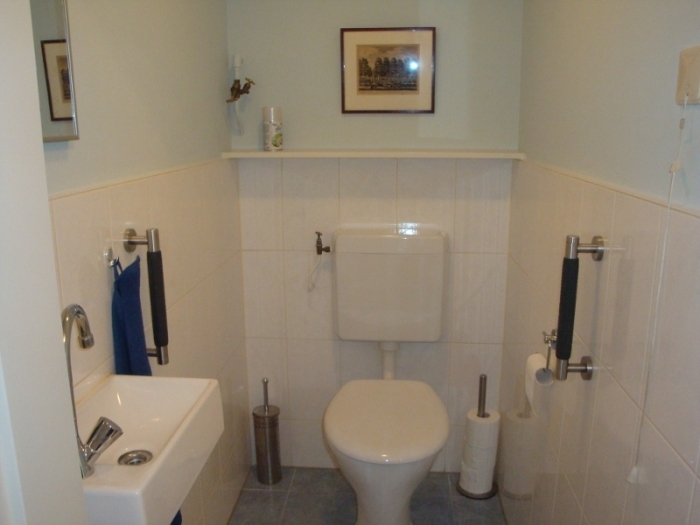 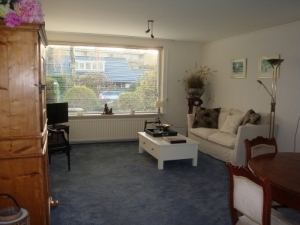 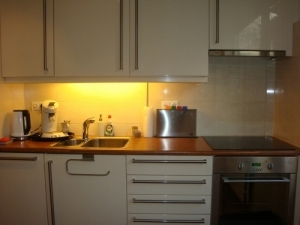 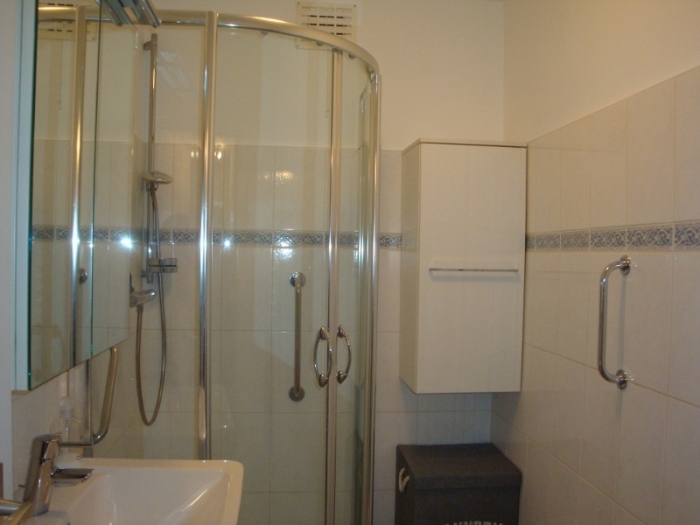 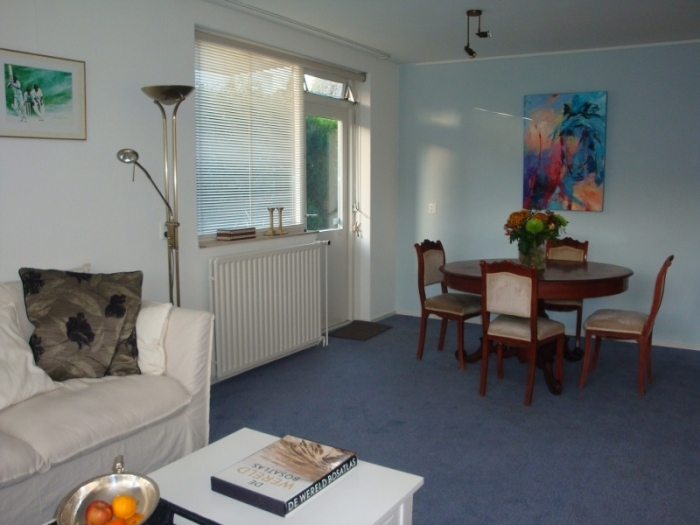 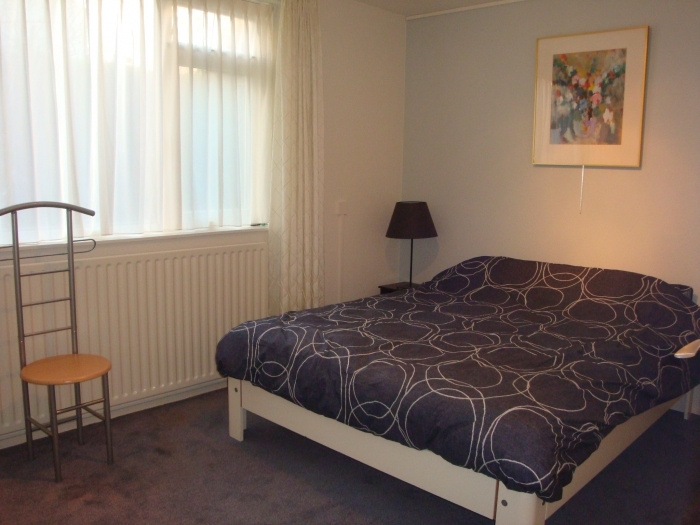 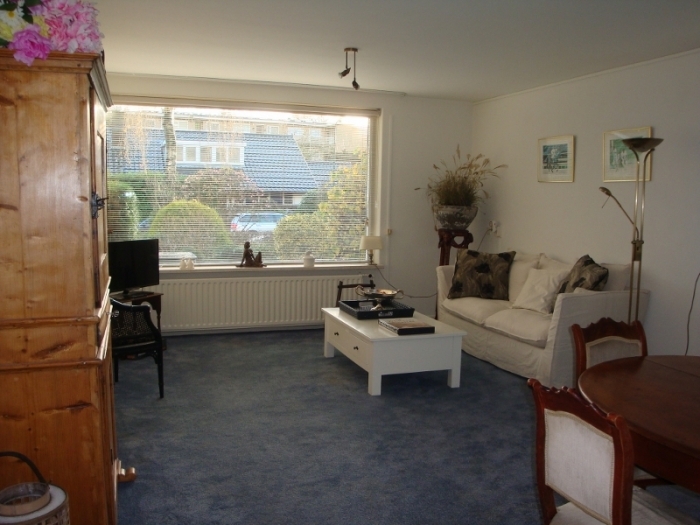 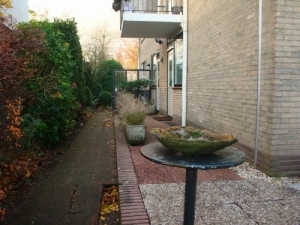 In the centre of Baarn a fully furnished apartment with terrace and view over the garden, near the shops and cosy restaurants and walking distence to the Station of Baarn. 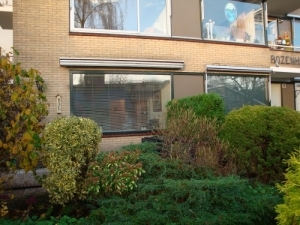 Int. 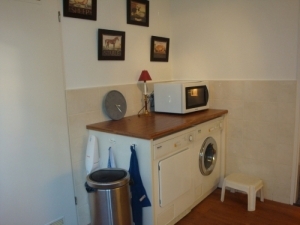 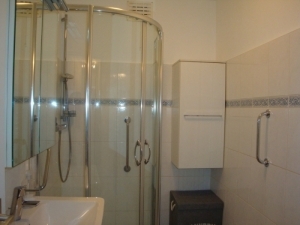 Entrance , toilet, living with door the the terrace, kitchen with appliancens, like a dishwasher and washingmachine/dryer. 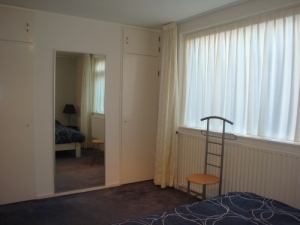 Masterbedroom with clocets and 2nd bedroom. service costs € 150,-- p. m.